You have a dog. Whether you've had them from a puppy or whether you adopted an older dog, did you ever wonder about their background? The true cost of a cute dog isn't a subject many like to focus on because the harsh reality of industries, such as puppy farming, bring to the forefront of our minds that there are dogs suffering right now, and while we buy dogs from puppy farmers, albeit largely unknowingly, we are feeding the industry. The same applies to dog breeds with flat faces and the health problems these dogs will inevitably suffer from. 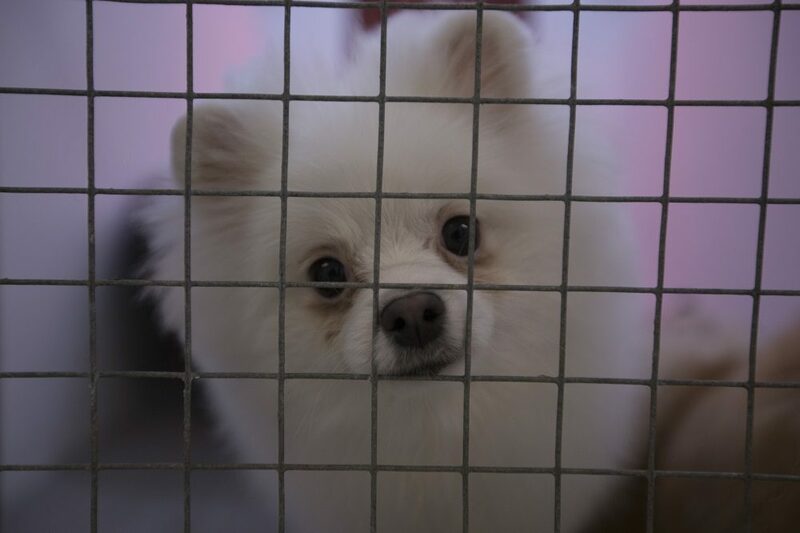 The personal price these dogs pay is heavy indeed, as Presenter and Vlogger Grace Victory discovered while filming her latest BBC show 'The Cost of Cute: The Dark Side of the Puppy Trade'. We caught up with dog lover Grace to find out all about the show and what inspired her to delve deeper into the dog world and how she thinks her platform, as well as BBC Three iPlayer Online, can educate the next generation. Hi Grace, thanks for taking the time to speak with us today. The subject of your latest show is really interesting. What made it personally call to you? I like raising awareness on subjects that are hard to talk about and often go under the radar within society. I had an emotional connection to 'The Cost Of Cute' because I’m surrounded by Bloggers, influencers and friends who have the sought after dogs mentioned in the show. I see. Has your family's own dog been affected by any of the issues you cover in the show? I believe I bought my family dog, Snickers, from an illegal breeder. With your personal connection to the topic as a dog owner, what did you set out filming believing and did this change at all as filming continued? My initial thoughts were “so why are we breeding brachycephalic (flat-faced) breeds”. As filming went on, from what I experienced and uncovered, I think we shouldn’t be breeding these breeds at all. I feel mass breeding of any animal is cruel and selfish. Your documentary has been really well received by many in the dog world who speak out about injustices and the suffering of dogs at the hands of humans and have praised your documentary being on the BBC iPlayer as a way to reach a younger audience. Do you think that we can ultimately stop illegal puppy smuggling by making the next generation aware? I believe illegal puppy farming can be compared to the illegal drug trade. I doubt it will ever be stopped completely because money, greed and power is at the forefront for organised crime gangs. But I feel like the younger generation will be more aware of what’s going on and are able to be more responsible as consumers and through watching documentaries like 'The Cost Of Cute', they can be more educated and knowledgeable on these issues. You mentioned it earlier and one of the subjects your documentary focuses on is the rising popularity of smaller dog breeds, thanks to social media stars. In this scenario, would you say social media is good or has work to do to still be useful? It’s all about how you use social media - I have met some incredible friends and I’m able to connect with my audience on quite a personal level. However, it is important for influencers and people who have a voice to take some responsibility for what they're sharing in order to set a positive example. Young people are impressionable, so I would advise parents and authority figures to clue their children up on the negatives of social media. What was the biggest thing you learnt as a result of filming the show and what would you like to see happen now to stop puppy farming and the illegal smuggling trade? I learned that the issue is way bigger than I could have ever imagined. Yes, the demand for these flat-faced breeds is huge within the UK, but other parts of Europe are fueling that demand. The laws in Ireland and the rest of Europe allows puppy farming. In my opinion, those laws need to change in order for puppy farms to be taken down. Here's hoping that a change can be influenced and more dogs saved from suffering, whether through bad breeding or puppy farms sooner rather than later. You mentioned at the very start that your family dog, Snickers, opened your eyes to the murky side of the dog world. We'd love to know a little more about him. Snickers is about 2 1/2 years of age, he's a Jack Russell and I bloody love him. He's beautiful. What do you think is the best thing about being a dog owner? It’s just like having another family member. I love everything about him; he has so much character! Ah, he sounds brilliant. We love Terriers, they definitely have big personalities. We know you love quotes and mottos, what are your favourites and if Snickers' had a motto what do you think his would be? (Laughs) I have several; I actually really love quotes and mottos - "Fall in love with yourself first" and "Make today count" are two of my favourites. If Snickers had a motto it would probably be "Live every day like it's your last". Finish the following sentence: my dog is...wonderful! And finally, if you could ask Snickers one question and one question only, what would you ask him and what do you think he would say? I would ask him "Are you happy Snickers?" and I think he'd say "Yes I am. I am spoilt rotten and I've got a best friend in the garden in the form of a mouse." (Laughs) I wish I was joking! Grace Victory presents ‘The Cost of Cute: The Dark Side of the Puppy Trade’. Available to watch now on BBC Three’s iPlayer channel.